Borron Shaw Estate Agents, we're the top local, independent property experts in Wigan, St Helens, Orrell, Hindley and surrounding areas. Selling your home or renting your property is probably one of the most important decisions you will make so we urge you to think carefully about choosing the right estate agents that you can trust. At Borron Shaw, we pride ourselves on our personal touch. Our customers have trusted our local, independent family estate agents and letting agents business for over 40 years. Whether you're a buyer, seller, tenant or landlord you'll appreciate our proven approach to customer care. We always aim to get the best results coverage for your home with honest, expert property advice to ensure that your local property is effectively marketed and seen by the right buyers. We're an independent family group of local companies with more resources, security, coverage and reliability than single offices. In an ever-changing market, you need to ensure that home estate agent has their finger on the local pulse in Wigan, St Helens and surrounding areas. See our unique services and customer charter for more information. Tell us your name and we'll tell you ours! You are welcome to pop in for coffee at any branch at anytime to get to know our friendly team and find out more about us. 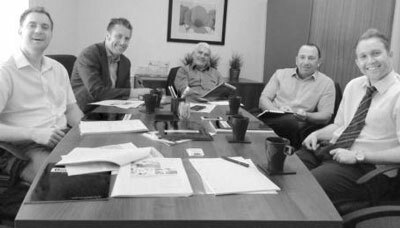 Our team of professionals ranging from sales and lettings to financial advisers always deliver a superior customer service experience. Please call us for a free no obligation market appraisal and experience our unique service for yourself. "Whether buying or selling, what we look for in an estate agent is someone who acts more as a friend with expertise rather than a pushy salesperson, someone who is ready to impart their considerable local knowledge to ensure both buyer and seller get a fair deal"